Order now & DAD get's a FREE Toblerone Choc with his gift! Each year when Father’s Day comes around, if you are like most people, you just don’t know what to buy your dear father. You know what you want to get him something great as he has put up with you for all these years, but finding that perfect gift is often more difficult than you initially anticipate. Luckily, when you shop online at AGIFT, you will be able to find the best Father’s Day gift ideas and find something for him that he will truly enjoy. On top of that, all of our amazing gifts come at a great value and price, so you won’t break the bank when finding the perfect Father’s Day gift. For many people, Father’s Day gift ideas are hard to come by. You want to get him something special and let him know that you are thinking about him, but you also want to make sure that you get him a gift that he will actually enjoy. 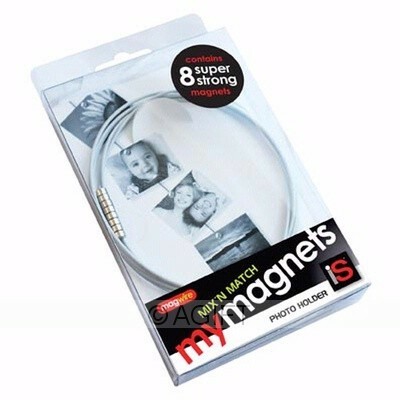 Shopping online at AGIFT is a great way to achieve that as we have an excellent selection of Father’s Day gifts that are useful and appropriate. You will have your choice of great gifts for Father’s Day at fantastic prices that you simply will not find anywhere else. Shop our site for great gift ideas for Father’s Day that will bring a smile to his face! 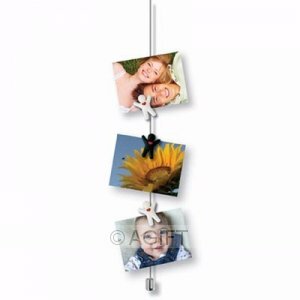 Hang this mobile photo holder where ever you like...in the office, home, holiday house or anywhere you like your pics to be seen. It adds a funky look look to your space and is easy to assemble. Great for displaying photos, cards, postcards, postcards and kids drawings. It holds as many as 20 photos back to back. Makes a great gift for someone who likes funky different things.